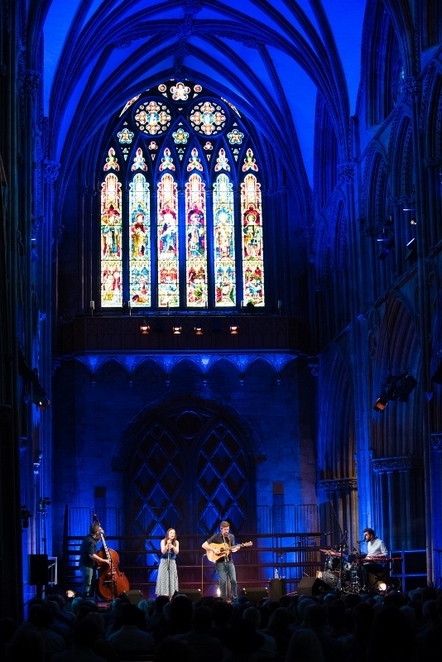 Folk music fans were given a real treat when the Lichfield Festival in Staffordshire brought together two giants of the Scottish folk music scene for one night only. 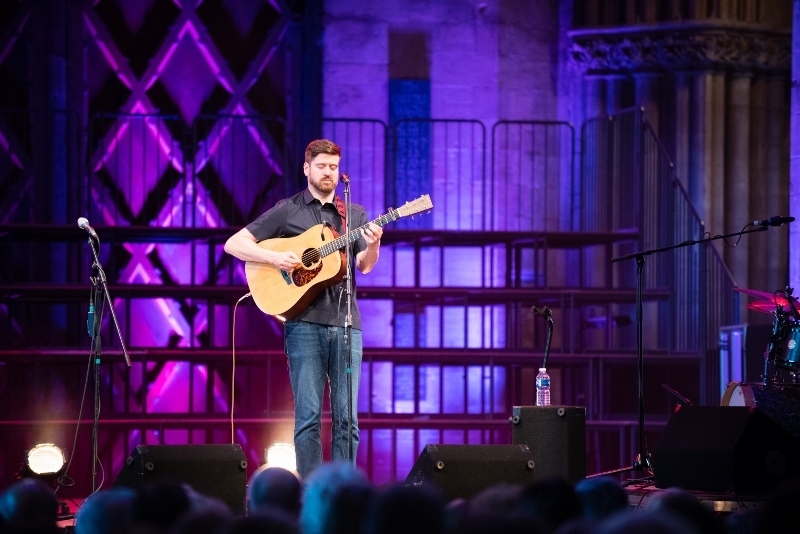 Singer-songwriter Kris Drever, a member of highly acclaimed British folk group Lau, was the undeniable star of the bill at the historic Lichfield Cathedral on Saturday 14th July. But fans were also treated to a welcome appearance by the immensely talented Gaelic singer Julie Fowlis who was Kris's special guest for the evening. Kris recently celebrated a decade of critical and commercial success by winning both the 2017 Folk Singer of The Year Award and Best Original Track for his song 'If Wishes Were Horses' at the BBC Radio 2 Folk Awards. Kris released his latest studio album, 'If Wishes Were Horses', in March 2016 following a long-awaited gap of six years, during which time his band Lau established themselves as one of the most widely acclaimed bands in British folk music. 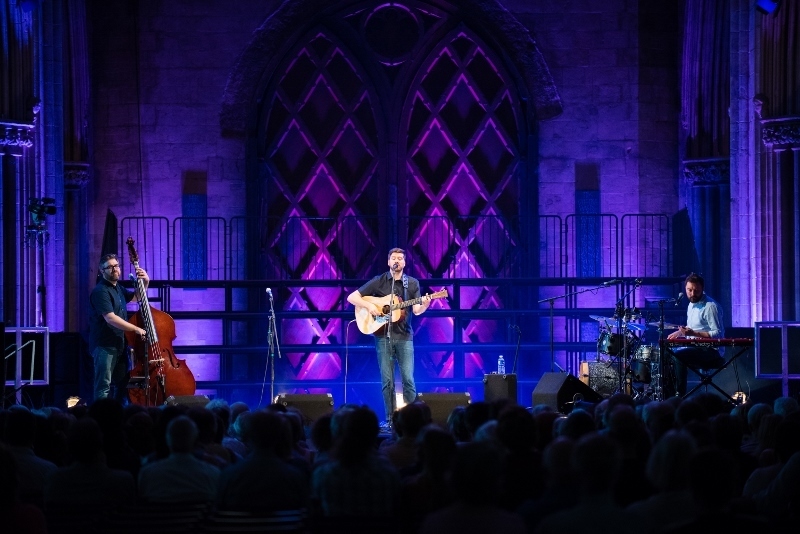 Not surprisingly for his concert at the splendid Lichfield Cathedral, Kris performed a number of tracks from his most recent release, but also delivered a 'best of' set that included a number of his favourite songs from the first decade of his folk music career. And, then were was the added delight of Julie, a regular artist of the Transatlantic Sessions folk shows on the BBC, who was introduced during both halves of the concert to perform some of the delightful and melodic 'mouth music' sung in her native Gaelic. Kris, supported by a bass player and drummer, has an effortless, honest and engaging vocal style matched only by his wonderful guitar work. He writes and sings a great deal about his home environment, such as growing up in his native Orkney and, more recently, living in the Shetland Isles. Tracks from his 'If Wishes Were Horses' album included 'Capernaum', based on a 1920s poem about Edinburgh, 'Shipwrecked', and the self-doubting 'I Didn't Try Hard Enough', as well as the title track. But there were also welcome offerings from his previous albums, 'Black Water' in 2006 and 'Mark The Hard Earth' in 2010. They included 'Harvest Gypsies' and 'Steel And Stone' from Black Water, with accompaniment from Julie, and 'The Call And The Answer' from Mark The Hard Earth. 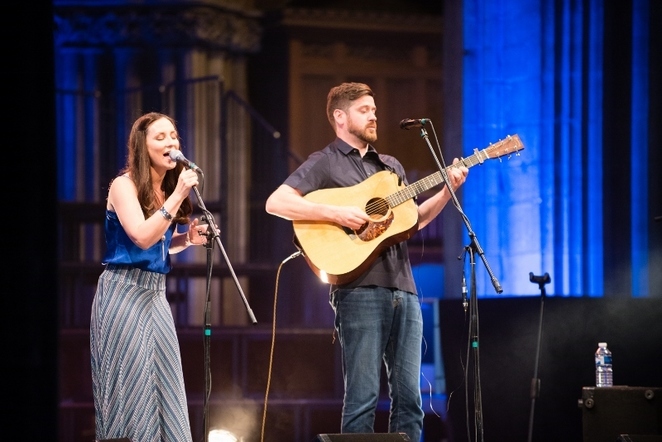 While rightly billed as a Kris Drever concert it would have been nice to have heard more of special guest Julie Fowlis. The multi-award winning singer was on stage for just a couple of numbers in the first half but happily made more of an appearance after the interval. Julie, who sung the soundtrack for Disney movie Brave, took over the mic for three songs performed in Gaelic, finishing with the lovely, haunting 'Tha Mo Ghaol Air Àird a' Chuain' (My Love Is On the High Seas) which was her first solo release 15 years ago. And, minus the band members, she was to sing a delightful duet with Kris called 'Farewell To Fuineray' for the inevitable encore.